Cellulitis is mostly diagnosed in the lower legs. It can, however, also occur in the face and other parts of the skin. In its own rights, cellulitis is a disease but is mostly described as a condition, or an infection, to be specific. Staphylococcus bacteria that live on the skin sometimes enter the skin through injuries or cracks. 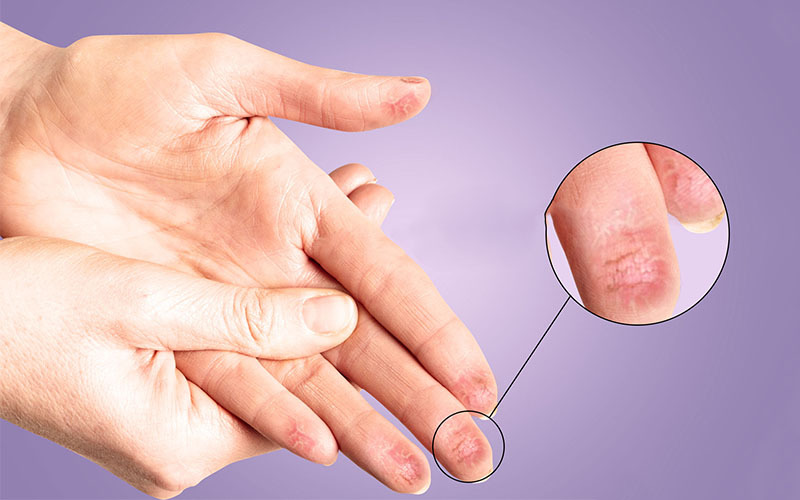 With the moist, warm and nutritious conditions in the dermis and subcutaneous tissues, the bacteria quickly divide and spread. Streptococcus bacteria can also enter the skin from infections in the ears, nose, mouth or other parts of the skin. 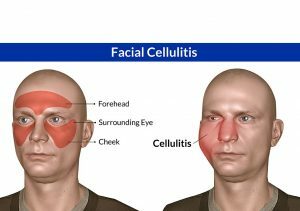 Facial cellulitis mostly affects the forehead, skin areas surrounding the eye, and the cheeks. It is potentially dangerous since bacteria can spread to the brain to cause complications such as meningitis. When treatment is done in a timely fashion, the infection responds very effectively and without major complications. 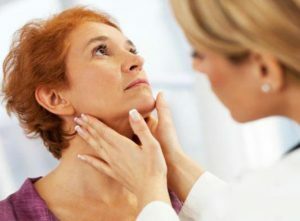 So what is facial cellulitis? This is a type of cellulitis that develops in the face. Cellulitis is usually named according to the part of the body it affects. 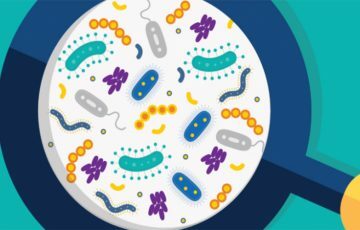 How it develops and what causes it remains the same although some areas such as the eye are more prone to specific types of bacteria. When you have cellulitis, it means that bacteria have invaded the tissues underneath the epidermis. It is from there that infection develops and may spread through the blood. Any part of the face can be affected. But since the forehead is prone to different forms of injury, cellulitis develops there more often. Proximity of the cheeks to the mouth may be the main contributing factor to more occurrence of cellulitis in the areas. Eye cellulitis is also included in the broader category of facial cellulitis. The skin acts as a protective barrier that keeps harmful microbes from inner tissues. When the barrier is broken, infections are almost inevitable. 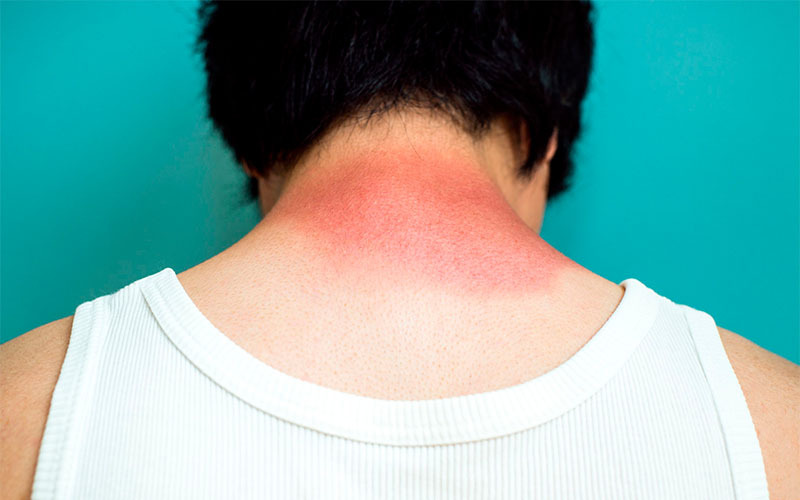 Skin injures can be caused by burns, abrasions, cracks, cuts, and UV radiation among other things. 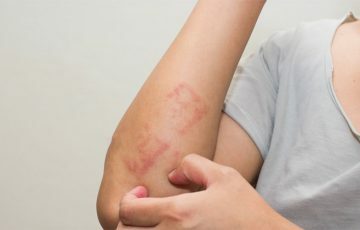 It is also possible to get facial cellulitis from spider bite, insect sting or a cat scratch. Presence of foreign objects or having had a recent surgery may also introduce bacteria into the skin. Cellulitis that develops this way is usually caused by staphylococcus bacteria. Infection in the sinuses, teeth, gums or ears can extend to the facial skin. 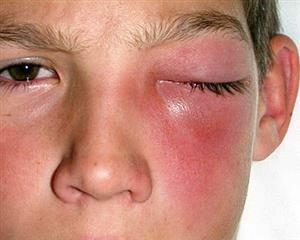 This is mostly seen in eye cellulitis and cellulitis in kids. A deep tooth abscess can, for example, cause cellulitis in the eye. During cold seasons, sinus infections are very common. This increases the incidence rate of facial cellulitis. One of the dangers of advanced cellulitis is blood poisoning. This is where toxic substances are released by bacteria into the blood. A primary infection such as in the bones or lower legs can spread through blood to the facial skin. Specific facial cellulitis symptoms depend on the severity of the infection as well as the affected part. Cellulitis in the eye can either be preorbital or orbital. Preorbital develops in tissues anterior to the orbital septum. This is a soft tissue located above the eye socket. Orbital cellulitis develops posterior to the orbital septum. 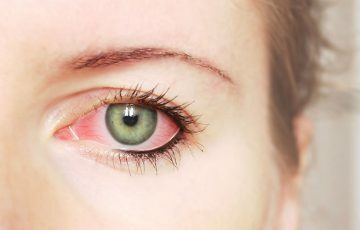 Both types cause swelling and redness of the eye and eyelid. Their main difference is that preorbital is not painful and doesn’t interfere with vision. Orbital is usually very painful, especially when moving the eye. It also affects vision and can in fact lead to permanent loss of vision if not treated. Periorbital cellulitis in adults is less common than in children under 5 years of age. Affected facial skin swells and becomes red. It may also feel warm, painful, tender and firm. Patients sometimes experience itchiness and mild skin peeling. 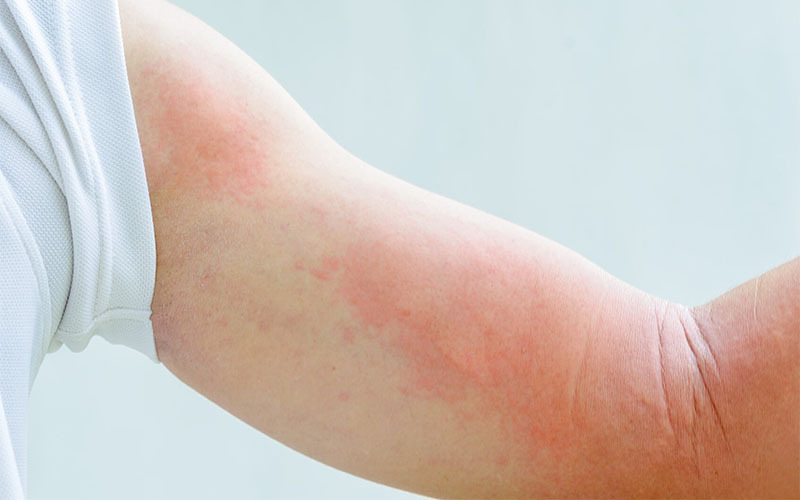 Red streaking may occur, which indicates that the infection is spreading. 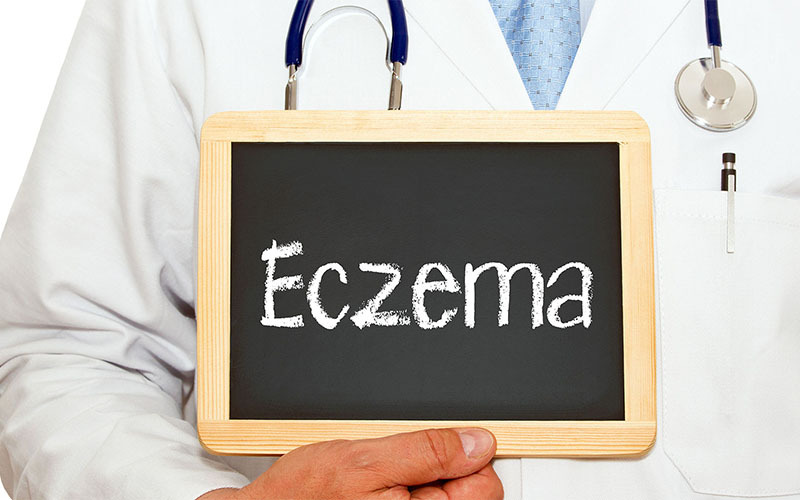 It is important not to confuse these signs with those of other skin conditions such as eczema and psoriasis. Facial cellulitis pictures may help. Bacteria sometimes cause blood poisoning and death of tissues. Immune cells keep invading the bacteria, resulting in death of many cells in the process. 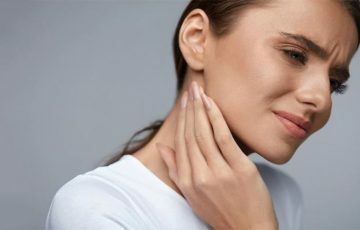 All these cause a number of systematic symptoms such as headaches, high fever, lost appetite, general weakness and confusion. By the time such symptoms show up, medical attention is very much a necessity. Cellulitis is rarely contagious. This is because it develops deep in the skin. However, some infections of the nose, ear and mouth can easily be spread from one person to another. Precautions should therefore be taken, especially when in crowded places or working outdoors such as in a farm. The doctor will look for typical symptoms such as red, swollen and tender areas. They will also check for signs of infection in the ear, mouth or inside nose. Patients will be required to provide their medical history details plus nature and timeline of symptoms. A blood test is used to identify the nature of microbe causing the infection. It can also be used to get the count of active white blood cells. A urine test may also be taken in case of scrotal cellulitis. This is to rule out other possible causes of urinary tract infections. Some fluid may be taken from the affected area and cultured in the lab. In this way, the particular bacteria or microbe responsible for the infection will be identified. Fluid cultures are particularly helpful for cellulitis on stomach and in eye. Infections suspected to have something to do with a foreign object in the skin can be diagnosed with X-rays. CT scans may also be necessary especially when dealing with cellulitis in the eyes. Pictures produced will help differentiate between orbital and preorbital cellulitis. Advanced cellulitis can result in blood clots in the cavernous cavity. Such clots can be located in MRI images. Like most bacterial infections, facial cellulitis is mostly treated with antibiotics. 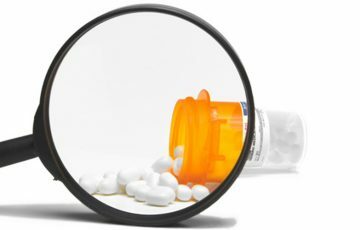 Patients are usually required to take medications for 10 days. Severe cellulitis treatment with oral antibiotics can go on for 3 weeks. If the infection fails to improve within first 2 days of taking antibiotics, inform your doctor. There are some bacteria like MRSA that are resistant to some types of antibiotics. Different oral medications or IV antibiotics will be prescribed as an alternative. Children under 4 years of age usually receive IV antibiotics. 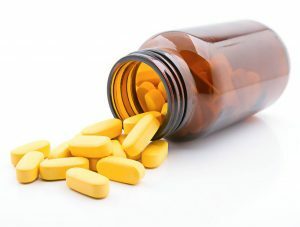 It is important to take all medications as instructed by the doctor to avoid recurrent cellulitis. This is even if the symptoms are to improve or totally disappear early. Pain is usually a symptom of cellulitis, especially when infection has spread. This can be managed with prescription pain medications. You can also buy over the counter pain medications. Steroids are medications used to reduce swelling. They are not mandatory in cellulitis treatment but may hasten the recovery process. 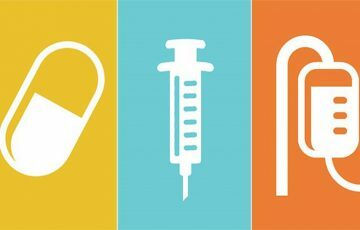 Some steroids may weaken the immune system and should therefore be taken with a doctor’s directions. It is for example known that diabetes, HIV, cancer and other disease that weaken the immune system encourage cellulitis. Systematic treatment may be done to address such primary causes. Tissues that have been destroyed by bacterial toxins may be removed with surgery. Surgery may also be done to drain an abscess. Prognosis is generally good for facial cellulitis. Major complications mostly arise from later stage eye cellulitis. This is after infection has spread to the brain and spinal cord or causes blood clots in cavernous sinus or retinal vein. Early diagnosis is always very necessary. Cellulitis is potentially dangerous, however treatable it may be. 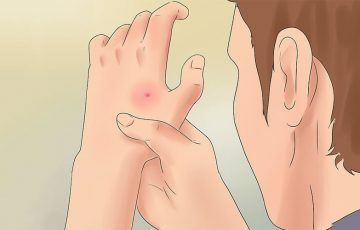 Unless bacteria enter the skin, they cannot cause cellulitis. The best preventive measure therefore is to keep injured areas clean, dry and covered. Warm compressing twice a day may also help. Try to get as much rest as possible during the recovery period. It allows enough time and resources required by the immune system to fight off bacteria. In case the infection is arising from cellulitis on feet, try keeping the affected foot raised above the heart.